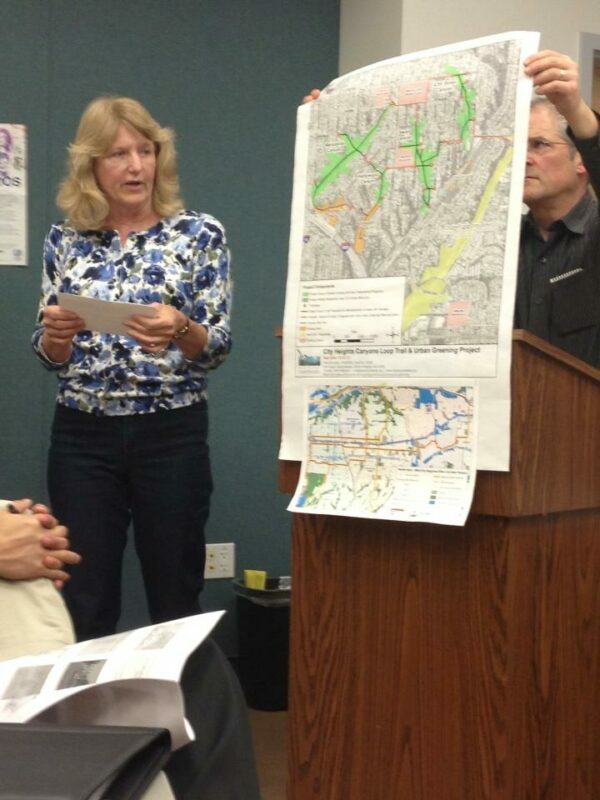 Nonetheless, the crash data from 1999 – 2012 presented at the meeting confirmed what the audience was already aware of: Montezuma Road is not safe. 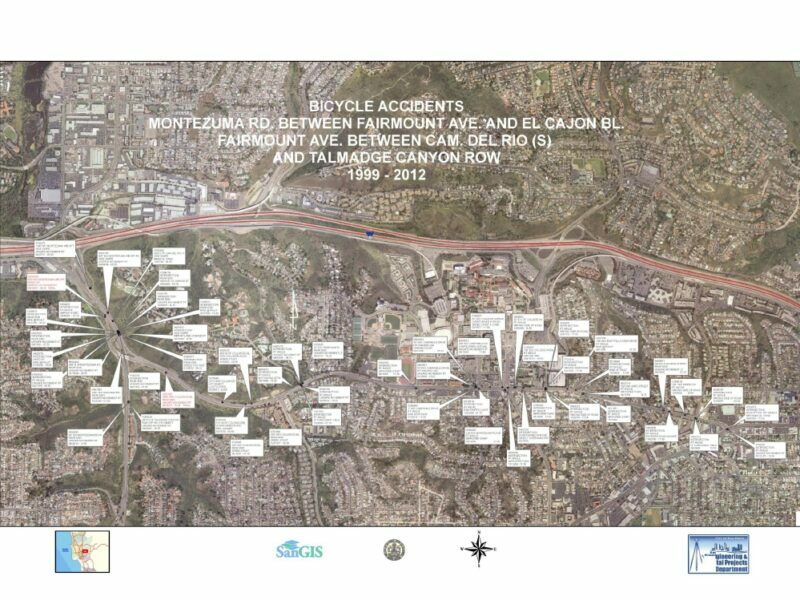 BikeSD representatives, the CCAC, various members of the community and Brian Genovese himself all agreed that the current state of Montezuma is unacceptable. The biggest problem was identified as speed of motor vehicles. It’s time to clean house at the Department of Traffic Engineering. The obstructionists need to get out of the way or face removal. Contact your elected officials and let them know this is a problem. 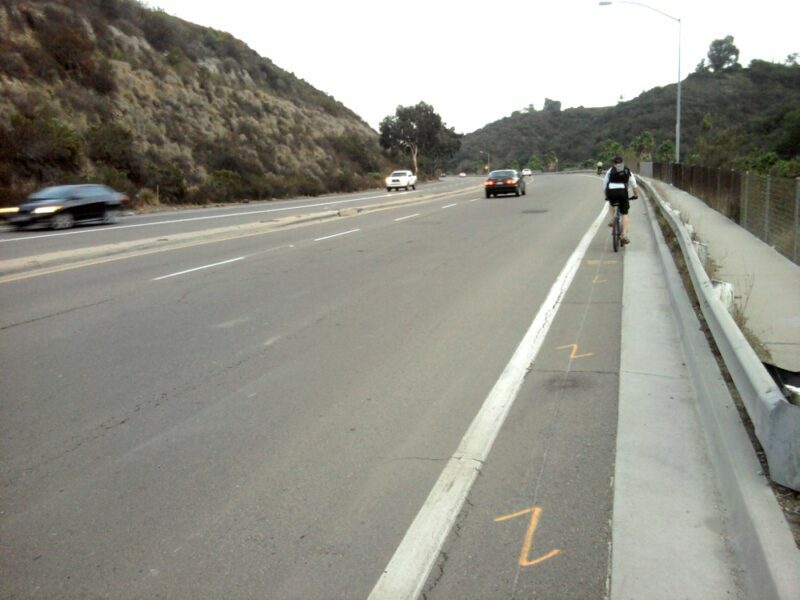 Cant wait for the chollas creek connector!! 2) there is another fault at the end of 30th st showing another class I which is a bridge, but ends with stairs! I forgot to mention in the article that there are currently three positions open in the Traffic Engineering Department. This is a great opportunity to create change from within! probably the most dangerous area in the city for cyclists (or harbor dr directly east of the airport). doesn’t really matter which direction you are headed on fairmont/montezuma. perhaps a few well placed stop signs/stop lights along with a street narrowing on both sides of fairmont between the 8 fwy and the area immed south of montezuma would do wonders for cyclists. would definitely back up traffic to/from sdsu a bit but the freeway aspect of the area MUST end. I think it does matter what direction you’re going. Downhill, I’m approaching car speeds and therefore not being passed by many drivers. Uphill, I’m going much slower while simultaneously having to “negotiate” multiple on- and off-ramps with drivers going much faster than I am. Bike facilities do not necessarily have to be identical on both sides, though a lot of riders will appreciate some kind of protected facility where vehicle speeds are this high. I know experienced riders who simply won’t take eastbound Montezuma or southbound Fairmount, especially the crossing under I-8. Those two “streets” were designed as mini-freeways with no regard for anyone but vehicle drivers. This is a legacy of the attitude back then that no one would possibly ride a bike any distance so why provide any facilities? John, fwiw, i’ve had more close calls heading downhill between the stretch where northbound montezuma merges with northbound fairmont to the 8 east/west fwy onramp than i have with the multiple uphill southbound onramp/offramps on fairmont. i ride both equally. the reason? there is no traffic signal/stop sign for the northbound montezuma/fairmont merge area whereas there are a few signals on the southbound/uphill part of fairmont. add a signal/stop sign to northbound montezuma at the fairmont merge which will allow riders to safely cross between vehicle bursts towards the freeway. if a light is put in, riders will be compromised if the light is green for vehicles. upper (southern) fairmont before montezuma is not a problem. it’s that white knuckle quarter mile between the northbound montezuma/fairmont merge and the 8 fwy east/west onramps that is a problem. makes the westbound harbor drive lindburgh field area look positively safe in comparison. Yesterday I was bitching because the bike lane going up Montezuma from Fairmont was destroyed. I was happily surprised today when I saw it all nice and shiny with road narrowing & lots of fresh paint. Unfortunately the new lane was only laid from Fairmont to Collwood. Good progress but I will be happier when it is completed up to College.